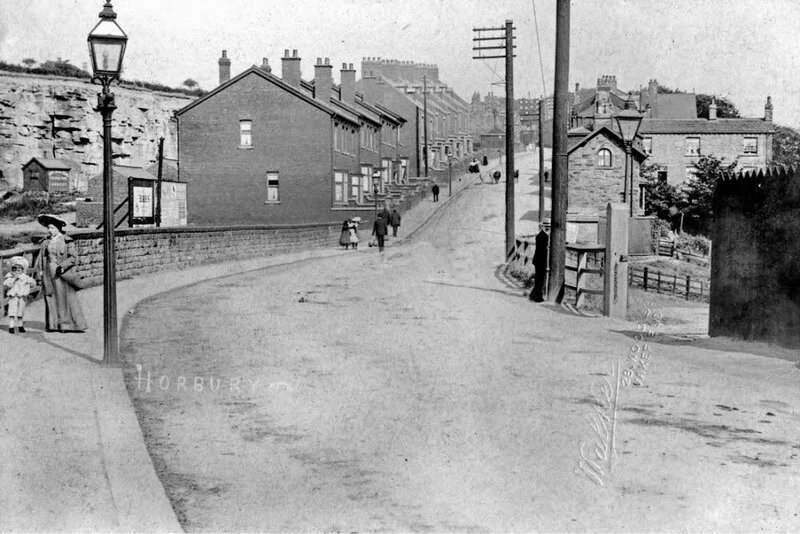 Above: Quarry Hill, Horbury, photograph circa 1900. Quarry Hill, which is part of the Wakefield to Huddersfield Road, is not surprisingly named after the sandstone quarry shown on the left of the picture above. The quarry was once owned and worked by John Carr's family in the 18th century and it is possible that John Carr worked here himself in the early part of his life. Sandstone was quarried well into the late 19th century when the quarry was owned by Mr. Fred Knowles, who lived close by in a big house overlooking the Calder Valley. Stone from Horbury quarry was supplied free for the building of Horbury Bridge parish hall by the quarry owner, Fred Knowles, an associate of Sabine Baring-Gould during his short time at Horbury Bridge. Mr. Knowles was the organist and Sunday school superintendent at Baring-Gould's mission at Horbury Bridge. The remains of the quarry are still very plain to see today and the 15m high quarry face, which extends for some 100m to the Quarry Inn public house illustrates a range of sedimentary features, including cross bedding, jointing, leisegang rings and iron nodules. The rock is fine-grained and well-cemented, exhibiting massive, blocky and flaggy bedding. Whilst the eastern section of the exposure is well bedded, the western end of the site shows a transition toward more fracturing and irregular jointing. The Quarry Inn is built at the eastern end and has a small rock face in the car park which shows some interesting structures. 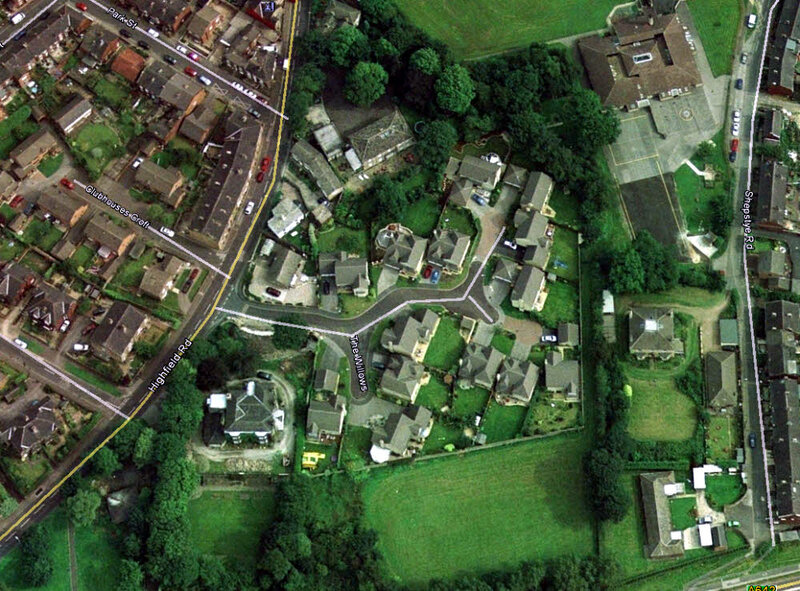 Above: Aerial view from 2003 showing new housing around Highfield House and Crossfield House. The route to Horbury from Horbury Bridge is via Quarry Hill and it is reputed that Sabine Baring-Gould wrote the hymn 'Onward, Christian Soldiers" in 1865 as a processional for the children walking up this steep hill to St Peter's Church.